Energy which we measure in Joules is never lost, it is only transferred into other types of energy. 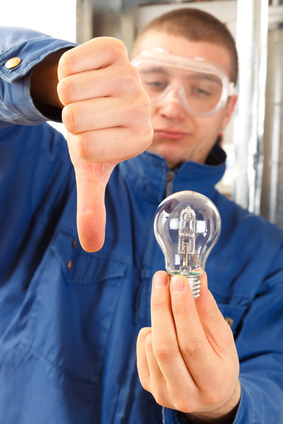 A typical filament light bulb (non energy saver type) is very inefficient at producing light. Why? Because where 10% of the input energy may be given off as useful light, the remaining 90% can be given off as heat. This is considered wasted energy as the heat is a by product of obtaining the useful intended light energy.